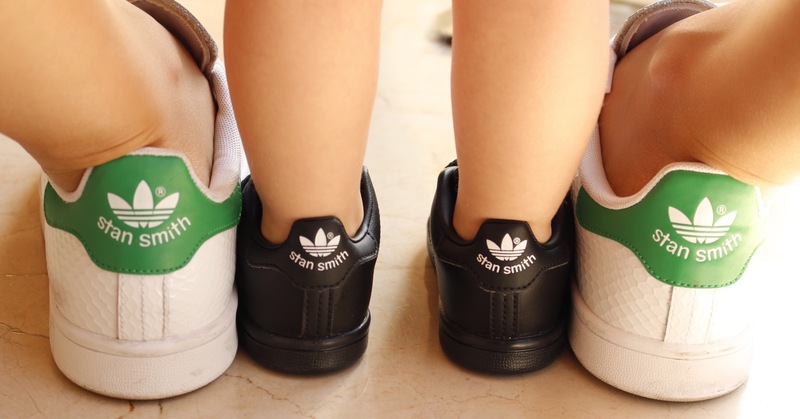 Ever since I purchased my own pair of Stan Smith Adidas sneakers I have been looking for a pair for baby Nora. Although she hasn’t even started walking yet, I just could not help but purchase this pair which happen to be 2 sizes bigger and from the boys section, since the minute I laid eyes on them. I found them at the Adidas store in Dubai Mall when I happened to be in Dubai last week. I can’t wait to dress her up in her boyfriend jeans and a winter trench coat while we both strut our favorite sneakers of the year. As a girl myself and a personal lover of fashion and trends you can just imagine how excited I am to start dressing her up because she has reached that age where I can actually enjoy it. Pijamas are now strictly for sleeping; let the real fashion games begin.